On July 10th, Prime Minister Modi of India interacted with 40 Solar Mamas trained by Barefoot College in Tanzania. PM Modi took great interest in all the vocational and entrepreneurial activities that the Solar mamas are conducting such as solar electrification, tailoring, bee keeping and honey making. In fact he was very happy to take home some of the products like robes and honey which are now sold commercially in Zanzibar. Barefoot College has trained solar mamas in 74 of the least developed countries. This project is done in collaboration with the Indian government. The founder Bunker Roy has lead this organization for 42 years and recently handed over the operational responsibilities to Meagan Fallone, CEO of Barefoot College International. In the last 2 years BCI has started to scale the vocational training activities by building training centers outside of India. The first such training center was launched last year in Zanzibar. 5 more training centers will be launched in Africa and a few in Latin America, Asia and South Pacific. 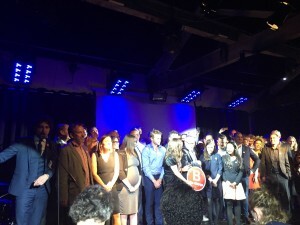 Congratulations Bunker, Meagan, and the whole Barefoot College team! This entry was posted in education, empowering people, innovative partnerships, social entrepreneurship, sustainability and tagged education, empowerment, social entrepreneurship on July 14, 2016 by microfinance. The 13th Skoll World Forum on social entrepreneurship took place on April 13-15. It was my 10th Skoll and it was one of my favourite forums so far. There are many sessions that can be seen on video. This year the theme was Fierce compassion and the topics most highlighted were “climate change” and “refugee crisis”. The musical performances during the Forum were just awesome and inspiring starting with Malek Jandali, Syrian-American Composer and Pianist, Juanes, and Sonita Alizadeth. The most moving performance was of Sonita, rapper and child marriage activist. The two videos Sonita’s performance and the interview that followed are the must sees of this year’s Skoll. I would like to thank Jeff Skoll, Sally Osberg, the whole Skoll team and the University of Oxford for hosting again such an inspiring and powerful rich content forum. This entry was posted in conference/symposium, education, empowering people, innovative partnerships, publications/presentations, social entrepreneurship, sustainability, Uncategorized on April 23, 2016 by microfinance. On Dec 1, Mark Zuckerberg and Priscilla Chan made the announcement welcoming the birth of their daughter Max and their decision to give 99% of Facebook shares (currently USD 45bn) to the Chan Zuckerberg Initiative to advance human potential and promote equality for all children in the next generation. This was posted (in Facebook)through an awe-inspiring and mindful letter “A letter to our daughter” that should become a must read for people in the private sector, public sector, academia, citizen sector, basically everyone as it articulates with clarity the challenges we face and how to tackle these. The Chan Zuckerberg Initiative is set up as an LLC which has attracted both praise and criticisms. I personally believe that their decision is great and inspiring as it would give them much more flexibility in achieving their goals by being able to do both: invest and donate with impact. This Initiative is bold and it will provide a major boost to both impact investing and venture philanthropy and hopefully one day it will go for B Corp certification! This entry was posted in empowering people, impact investments, social entrepreneurship, venture philanthropy on December 8, 2015 by microfinance. On Sept 24 B Lab UK hosted the event “Change is coming” the official launch of 62 certified UK B Corps at Proud Galleries in Camden, London. The B Corp movement is gaining momentum and now there are over 1400 companies across 42 countries that are B Corp certified and a number that is growing by the day. In this event it was inspiring to hear the founders of Bridges Ventures, COOK, Fairphone, and Streetlife talk about their businesses and their road to become B Corps. It was also a great gathering to network with the B Corp global community as many leaders were present such as Bart Houlahan, (B Lab Co-Founder), Marcello Palazzi (B Lab Europe Co-founder), and Pedro Tarak (Co-founder of Sistema B, B Corp South America). There was also a big announcement made by Bart that B Lab is establishing a Multinationals and Public Markets (MPM) Advisory Council as of January 2016 as a strong response for the growing number of multinationals and publicly listed companies that are interested in joining the B Corp movement. In a video message delivered by Paul Polman, Unilever CEO, he announced that Unilever will participate in the MPM Advisory Council and invited others to join them to achieve a collective vision of a global economy where all businesses work to create a more shared and durable prosperity for all. Yes, change is coming! This entry was posted in empowering people, history, impact investments, innovative partnerships, social entrepreneurship, sustainability, Uncategorized on September 30, 2015 by microfinance. Having followed the movement of B Corps and benefit corporations over the past 6 years it was with great joy to attend yesterday the Swiss B Corp Community Forum that took place at the Impact Hub. B Corps are a new type of company that uses the power of business to solve social and environmental problems (see the first video below to find out in less than 2 minutes). These companies aim to be not the best in the world but best for the world. The B Corp movement has been rapidly expanding with now close to 1300 B corporations in 41 countries and in 121 industries. B corps have started expanding also in Europe with now 70 B corporations. The 4 Swiss B corporations (3 Certified and one soon to become) that were presenting yesterday were: Abhati, Heidi.com, Montagne Alternative, and Opaline. 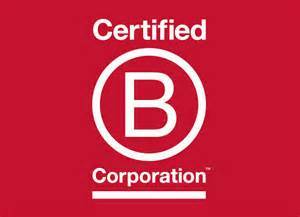 To understand more about the B Corps please view the videos below. 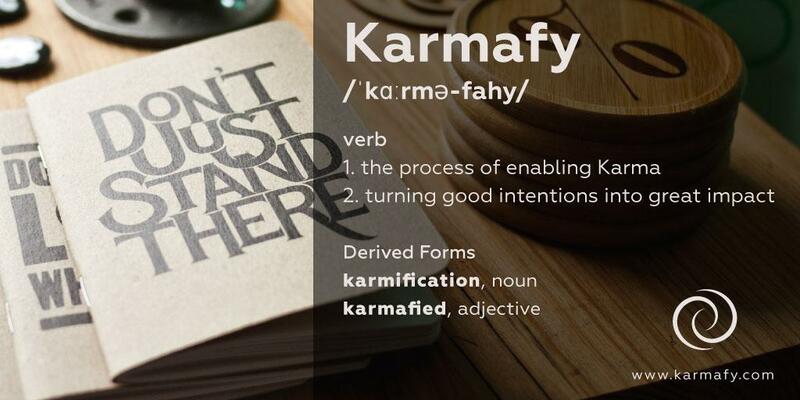 It is a movement that is definitely moving the needle in making business a force for good. This entry was posted in concept, empowering people, impact investments on May 27, 2015 by microfinance. I had the greatest pleasure to meet on May 19th Dr. Ashok Khosla, a visionary & social entrepreneur at a private event (thanks Nina!) Dr. Khosla founded Development Alternatives in 1982 to purse his dream for sustainable development. Since then he has been innovating, demonstrating, and fostering the delivery of environmentally friendly and commercially viable technologies. He is also the Chairman of TARA (Technologies and Actions for Rural Advancement). He also presented the just launched 2 new books “To Choose Our Future” which he authored and “The Blue Economy Version 2.0″ by Gunther Pauli, for which he is a contributing author. Both books will soon be available to buy online. The Blue Economy is the sequel to “The Blue Economy: 10 years 100 innovations 100 million jobs” and it is a powerful movement that has only started. I recommend you to see the TED talk of Gunter Pauli and the simple intro on the concept and to find about the 100 innovations. This entry was posted in Books, concept, empowering people, innovative partnerships, social entrepreneurship, sustainability on May 21, 2015 by microfinance. The 12th Skoll World Forum took place April 15-17th in Oxford. It was my 9th Skoll in a row and it is still my favourite forum for its great content, inspiring conversations and unlimited networking opportunities. This year two of the topics that were most emphasized were girls’ education and the continuing need to collaborate amongst the three converging worlds; private, public and citizen sectors. Another positive,this year, many of the sessions were recorded (more than ever) so subscribe to the youtube page of Skoll so that you can check on the videos that are being uploaded. Check also content through their Facebook and twitter page. This entry was posted in conference/symposium, empowering people, impact investments, innovative partnerships, social entrepreneurship on April 26, 2015 by microfinance. 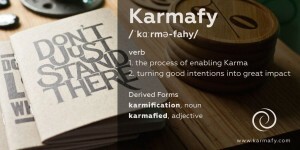 Karmafy represents a global social currency for doing good. The platform offers businesses, apps, and cause organizations the opportunity to attract new users and strengthen their existing user base by allowing users to track and make use of their socially responsible actions. We partner with businesses through a commonly used rev-share model and deliver more engaged users. Increased monetization occurs through cross promotion, use of gamification and functionality to make directed donations to vetted philanthropic organizations. More to come soon. This entry was posted in concept, empowering people, innovative partnerships, platform, social entrepreneurship on March 26, 2015 by microfinance. This entry was posted in conference/symposium, empowering people, impact investments, innovative partnerships, publications/presentations on December 4, 2013 by microfinance. 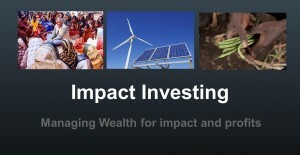 This entry was posted in empowering people, impact investments, innovative partnerships, platform, social entrepreneurship, venture philanthropy on March 17, 2013 by microfinance.